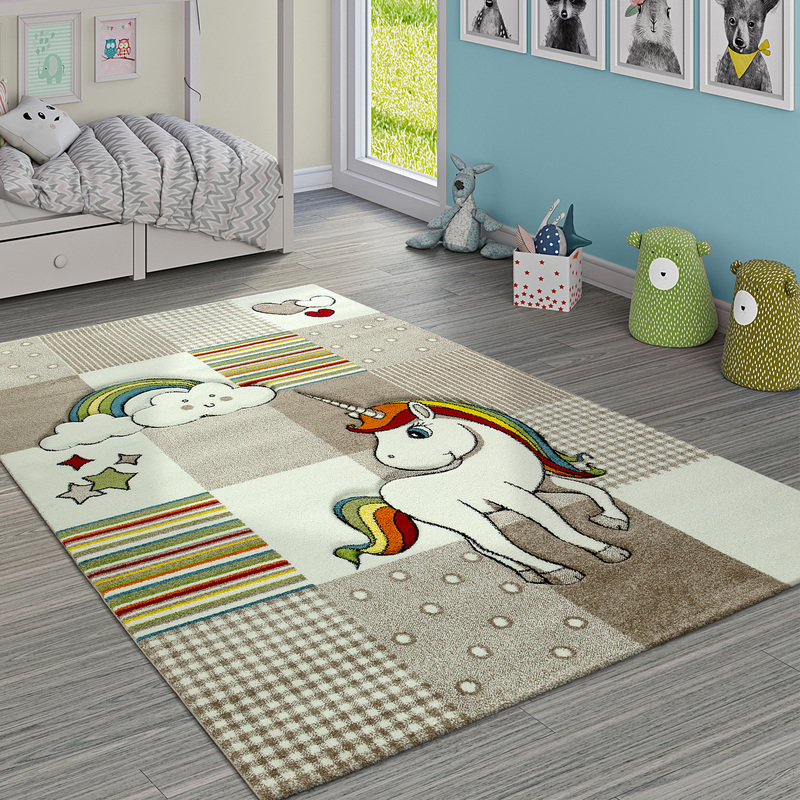 A cute unicorn with mane and tail in rainbow colours makes this children's rug every little girl’s dream. 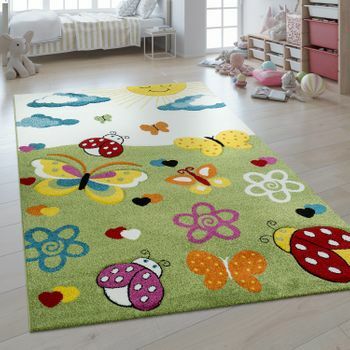 The pretty mythical beast with its cheeky look invites your child to play creatively. And in the evening to imaginative dreams. 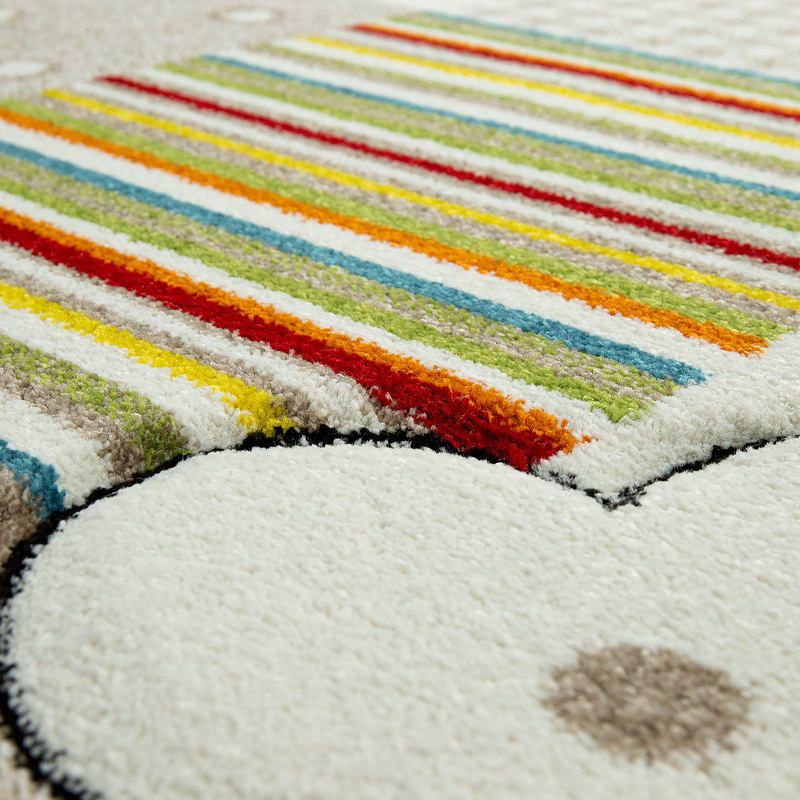 The colourful design has many affectionate details such as hearts, clouds and stars. 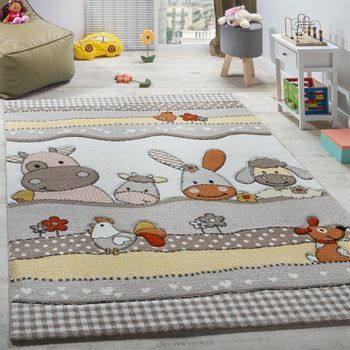 The different patterns in cream and beige remind you of patchwork. 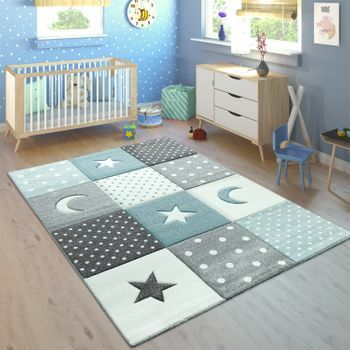 As the sweet short pile carpet made of 100% polypropylene, it is absolutely suitable for children's rooms. He takes even the wildest rides through the fairytale land with poise, and quietens the loud clip-clopping and cries of joy. 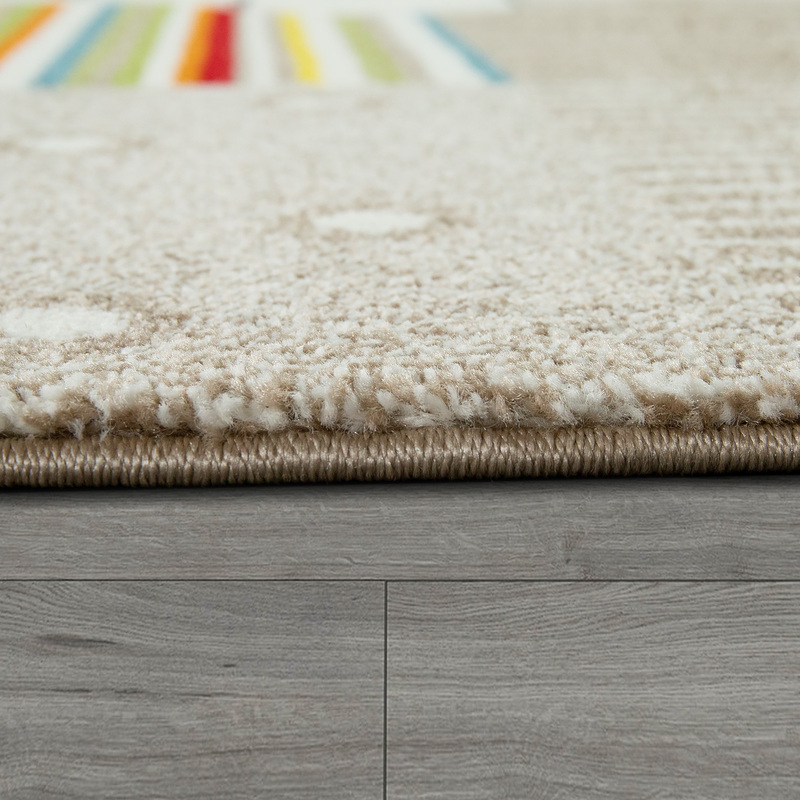 With its pile height of 13 millimetres, it has a good sound insulation. 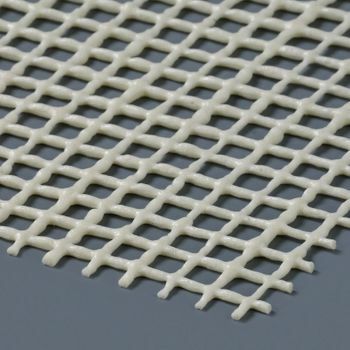 Robust and easy-care, it is hard to damage and is also easy to clean. 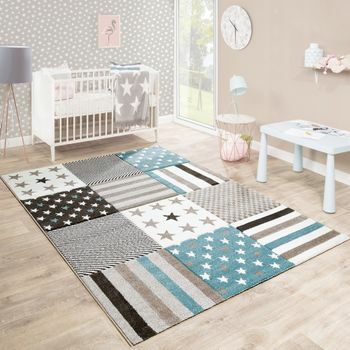 The modern children's room rug carries the Oeko-Tex Standard 100 seal of approval, which certifies it pure and free of pollutants. 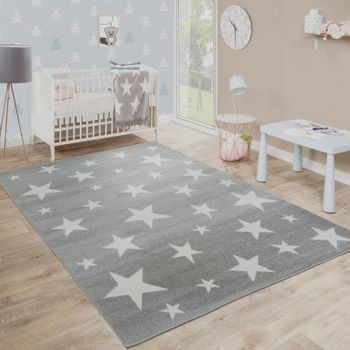 Our tip: The unicorn design is currently very much on trend and fits well into the design of children's rooms. 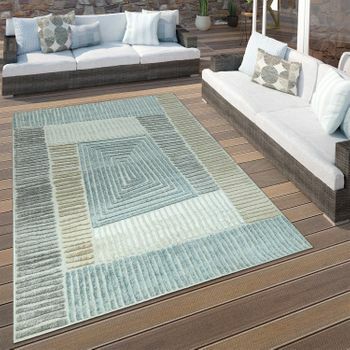 Keep the walls and furniture in calm, light natural tones and follow up with the rainbow colours of the rug in the accessories. 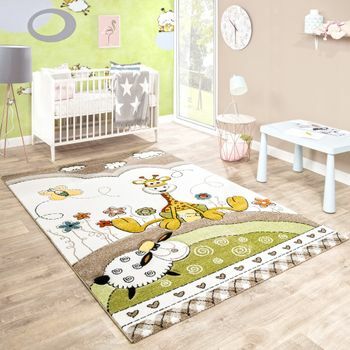 Bed linen and wall images with a unicorn motif provide a magical atmosphere.